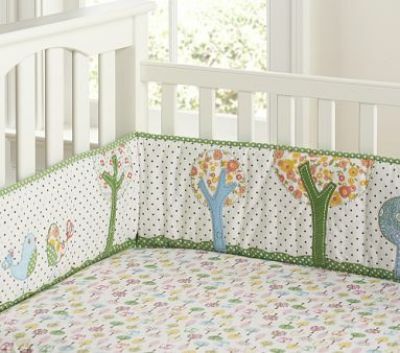 A set of linens including a fitted cotton crib sheet, a quilted mattress pad and a cotton bumper pad. Additional sheets may ordered separately. Assorted colors and patterns. Please note this does not include a blanket. Bumper Pads are only to be used for babies over one year old.